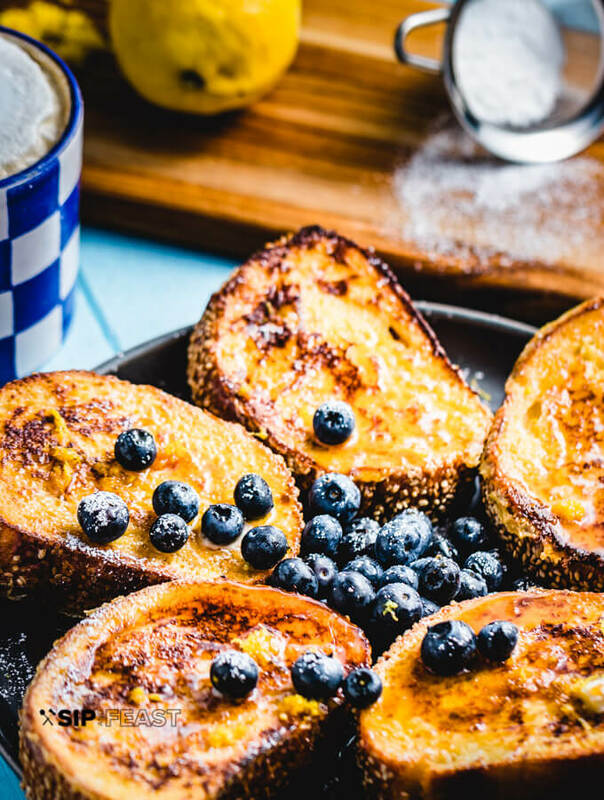 Classic french toast with fresh blueberries and lemon zest. So. Damn. Good. Making it with semolina bread just takes it to a whole new level of deliciousness! Also, I’ll let you in on a little secret. It’s easier to make than those oven baked french toast recipes and takes way less time. 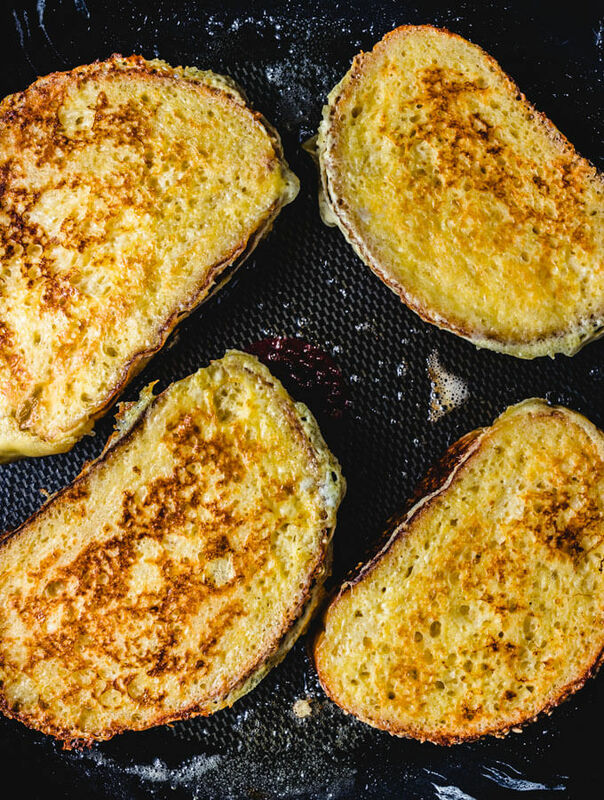 Come on – let’s go for it and make this awesome semolina french toast. 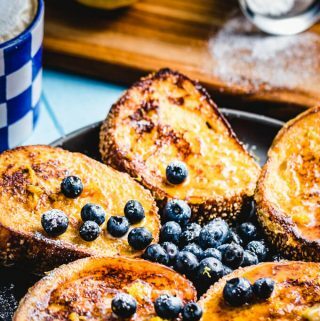 Baked french toast or the real thing? I know you’re thinking that baked french toast is way easier. Debatable – but this one’s a whole lot quicker and better tasting. You get a perfect crispiness on both sides instead of just one, and none of that mushiness that a bake often exhibits. At its core, french toast is just bread dipped in a sugar/egg/milk mixture and fried in butter to a golden-brown. Top it with some more butter and maple syrup and it’s done. Damn – I’m making myself hungry just describing it. Where the real deal french toast shines is when it’s being made for a family breakfast. Or maybe you just have a french toast craving all on your own. It would be pretty silly to do a baked french toast under those circumstances. This Lemon Blueberry Semolina French toast sure as heck will deliver the goods. 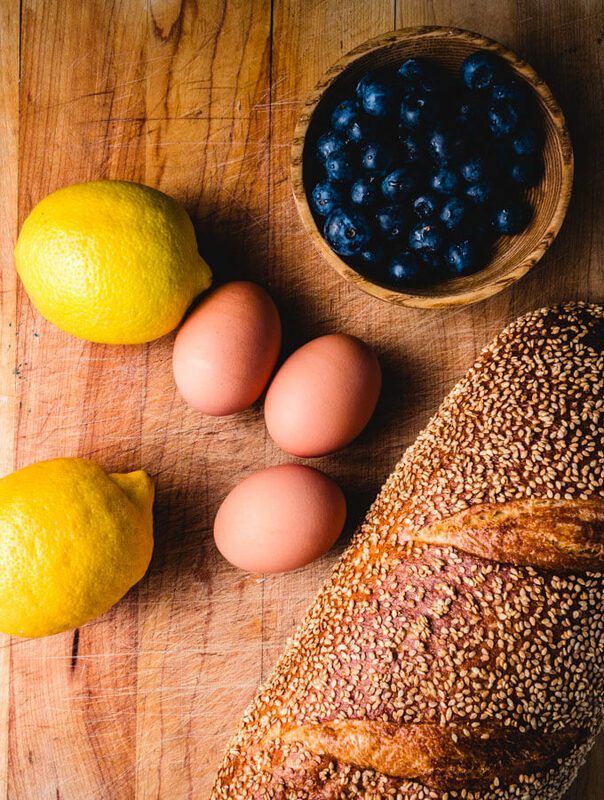 Blueberries, eggs, lemons, and semolina bread. The half and half, egg, and sugar mixture. There are only a few ingredients in this semolina french toast. 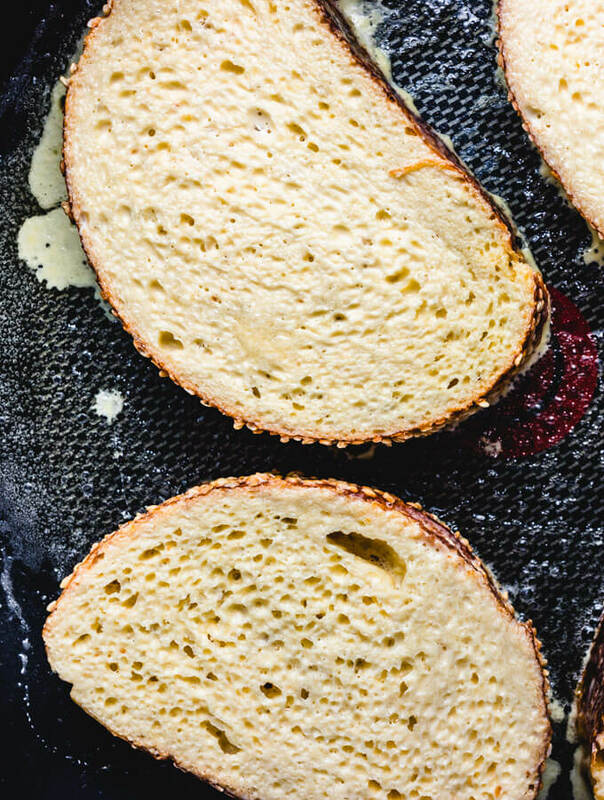 Semolina bread is a wonderful alternative to the traditional brioche or white bread used in most recipes. It’s heartier, crustier and the sesame seeds provide a nice nutty flavor to the dish. Of course, eggs and half and half are needed, though milk could be substituted. Sugar, butter, blueberries, lemon zest, and powdered sugar complete the shopping list. Dip the bread in for about 30 seconds to absorb the liquid. 3-4 minutes per side max. Nice golden color after being flipped. I like to have the blueberries washed and ready to go. Also zest the 2 lemons with one of these lemon zester tools. It would be wise to have the powdered sugar set aside with a mesh strainer as well. Another wise thing to do, though not required, is to set the oven on the lowest possible temperature – roughly 180° in most instances. The first batch of french toast can be placed in there while the other is cooking so it stays nice and toasty. Make sure the pan you use can accommodate 4 slices of the semolina bread. 2 batches of 4 each works well. Also have the butter ready for frying the semolina french toast. Three eggs are beaten together with 1 cup of half and half and 3 Tablespoons of sugar. Dip 4 slices of the semolina bread into the bowl, fully submerging each piece so they absorb the liquid. Heat a non-stick pan on medium heat and add 1 Tablespoon of butter. Fry the 4 prepared slices for 3-4 minutes per side. Use a spatula to flip the pieces over and continue to fry for 3-4 more minutes. When the first batch is done, place the pieces on a plate and put that plate in the oven to keep them warm. Sometimes cleaning the pan with a few paper towels before the next batch is a good idea. Don’t burn yourself! When the second batch is done, begin plating. Two pieces per serving with some blueberries, a pinch of zest and powdered sugar completes it. Make sure you also have melted butter and maple syrup on the table. Enjoy! 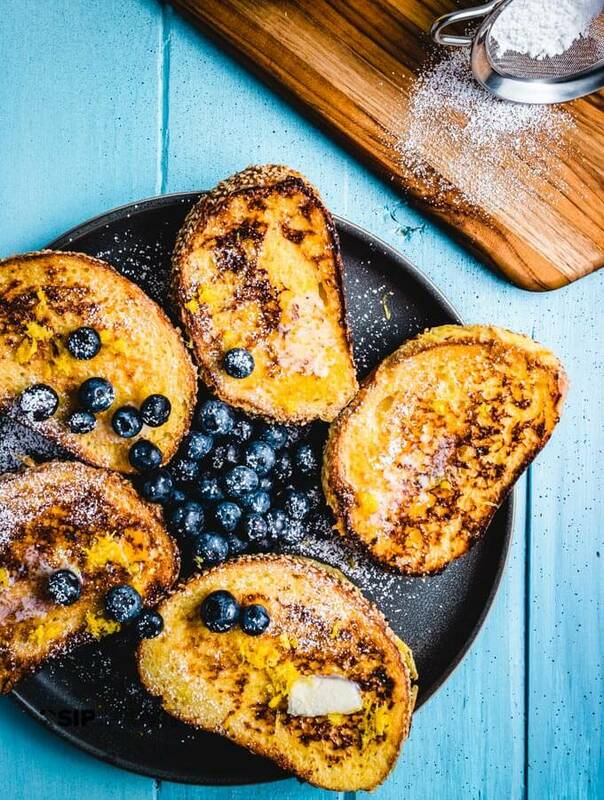 Before you make this amazing Semolina French Toast, follow me on Instagram and sign up to get new great recipes and ideas by email. 8 slices 1" thick semolina bread .....any thick crusty bread is fine. If a soft bread, it should be one day old. 1/4 cup powdered sugar .....for dusting before serving. Heat oven to lowest temperature. First batch of french toast will be kept warm in here. 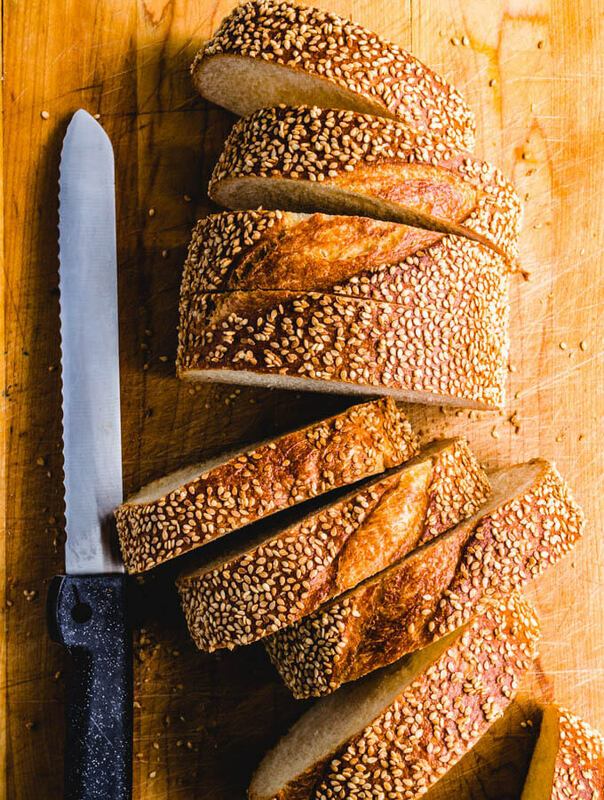 Cut semolina bread into 1 inch thick pieces. 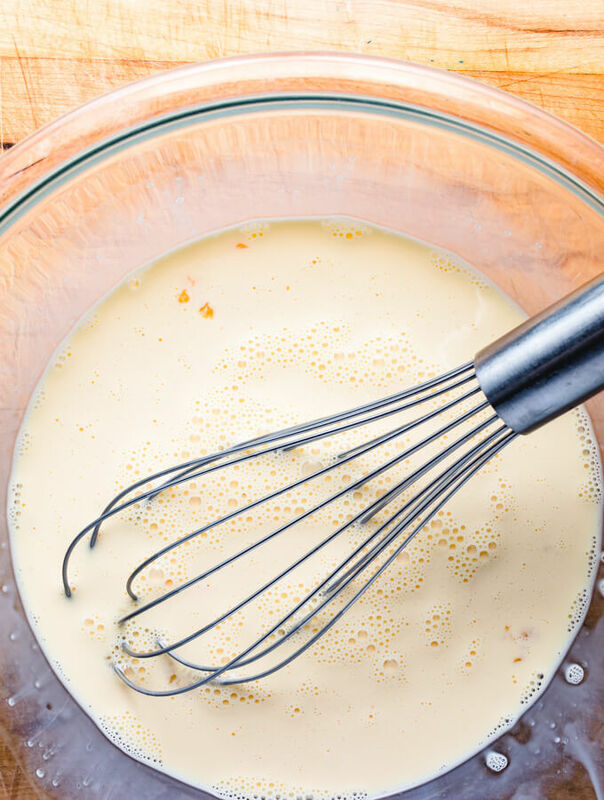 Mix 3 eggs, half and half, and sugar in large mixing bowl. 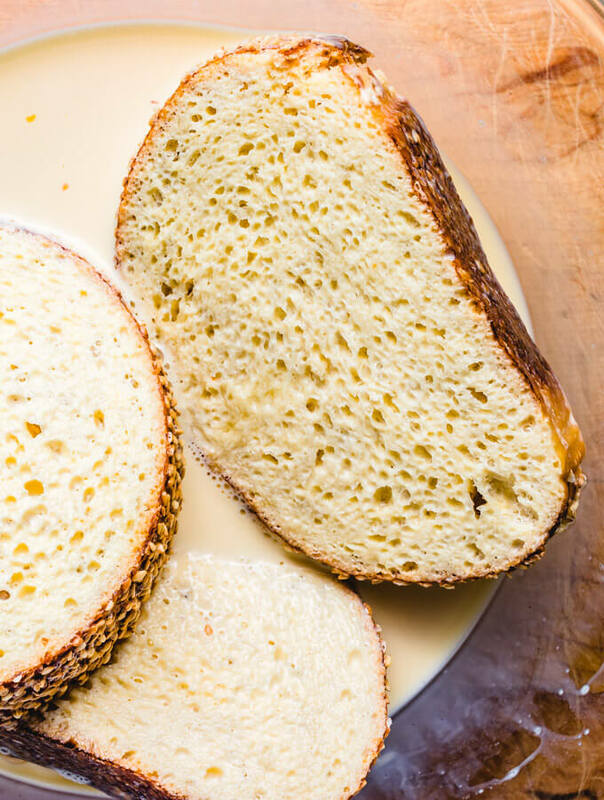 Soak 4 pieces of bread in bowl for at least 30 seconds. Heat non-stick pan on medium heat and add 1-2 Tbsp of butter to pan. Carefully remove bread from bowl and place in hot pan. Fry for 3-4 minutes per side. When done set in plate and place plate in oven uncovered. Repeat for second batch. Cleaning pan between batches can be done carefully with a few thick paper towels. Don't burn yourself. When all pieces are done plate with some blueberries, a pinch of zest, and some powdered sugar. Serve with some melted butter and maple syrup. Enjoy! Blackberries and strawberries would also be wonderful additions to, or substitutes for the blueberries in this dish.